Are there any blinds that will help reduce noise levels? I get asked this question often and the good news is, yes there are several very effective solutions which can really help reduce noise levels and are really good heat insulators as well! Shutters are brilliant insulators of both heat and noise. 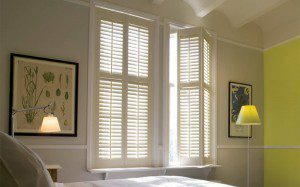 Our Vazon, Alderney or Herm Ranges are the best as these shutters are made of much denser material than the others. Obviously though the noise reduction only works when the shutter slats are closed! 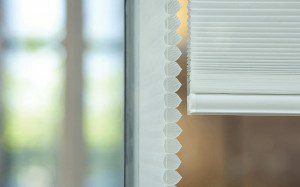 Pleated blinds come in a wide range of colours and these blinds have a honeycomb structure which traps a layer of air between the pleats of the fabric. 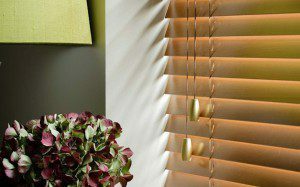 This means that the shape of the blinds absorbs sound making these a practical and stylish choice. 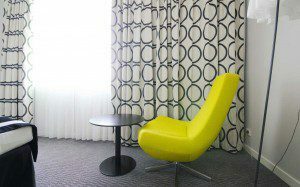 Curtains with a special acoustic interlining can also be a good choice as the lining absorbs the noise, so the fabric on the outside can be any from our huge range, giving a massive choice of colours, patterns and textures to choose from. You can also team the acoustic interlining with a blackout lining for the ultimate in darker and quieter bedrooms! What do you do if you have just had brand new UPVc windows and doors fitted and you does want holes drilled in them to fit blinds? Perfect Fit blinds offer an ingenious solution to this problem, smart brackets slot in behind the rubbers on the window and then a clever frame clips to these brackets. A choice of three types of blinds can then be attached to the frame, Roller Blinds, Aluminium Venetian Blinds and Pleated Blinds, and the huge choice of colours and fabrics available in these ranges give an almost infinite choice of designs for your windows. As the blinds are secured next to the glass they move with the windows or doors, just imagine, no more need to pull the blind up every time you want to open a window or go out through the door, and no more messy blinds taking up space on the windowsills. 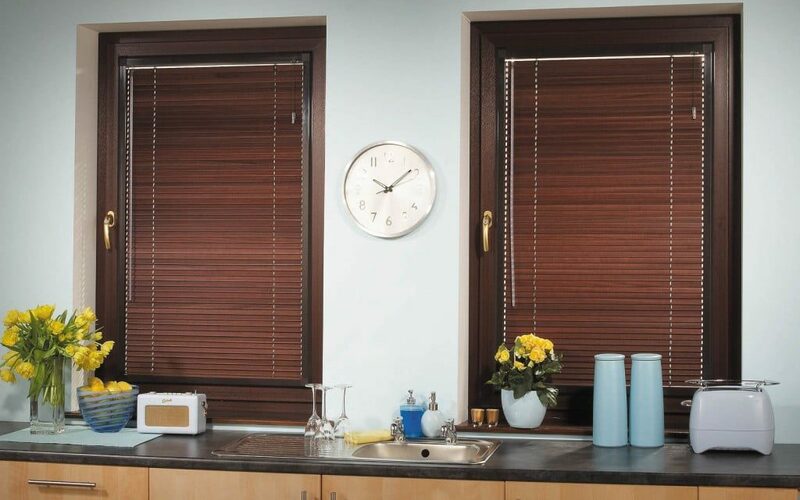 At Surrey Blinds, all of our Perfect Fit Blinds are completely child safe with any tensioning cords running down behind the frame well out of reach. But, what if your windows are not white UPVc? The frames come in a number of different colours as well as wood effect finishes! All in all Perfect Fit Blinds really are a Perfect Solution!